An employee of the renowned Royal Mail Hotel has died after being stung by multiple bees in the pub’s produce garden. While Australia has the dubious international reputation of crawling with venomous critters, including the world’s most dangerous snake(s) and spider, and the deadliest creature of them all, the box jellyfish, death by any of these is actually somewhat rare. A study this year by Melbourne University – the first of its kind in Australia – found that insect bites actually accounted for more deaths than anything else. The amount of venom injected by the bite or sting of a bug such as a bee, wasp or ant is minimal and unlikely to pose any serious health concerns in itself. The danger these bites present relates to the allergic reaction many people experience, which in extreme cases (anaphylaxis) causes traumatic swelling of the airways and death by asphyxiation. Complicating the issue with bugs is their prevalence in everyday environments, leading many people to be complacent, and the fact that someone may not know they are allergic. A person stung by a bee may show no reaction, but develop allergic sensitivity that could produce a far more serious reaction next time. Bees and wasps have the added danger that when they feel threatened they release pheromones that tell others to come join the fight, potentially leading to multiple stings. 27-year-old Steven “Tangles” Tingate was working as a gardener in the grounds of the Royal Mail when stung multiple times. An ambulance was called and workmates tried to revive him, but he died before medication could be administered and take effect. An ‘Epi Pen’ (Epinephrine auto-injector) could have saved his life. The severe and rapid reaction of anaphylaxis means that a person with choked airways can be dead in minutes, before help has had a chance to arrive. The study found only 44 per cent of people who died from an allergic reaction to a string actually got to hospital. 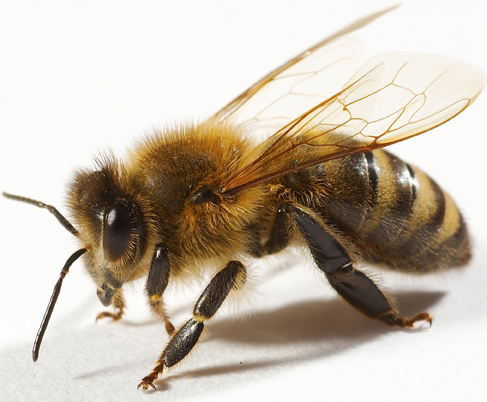 The tragedy opens the question of whether public premises should be better equipped to deal with these emergencies, which given the ubiquity of bees and stinging ants can happen to virtually anyone at any time. While defibrillating machines are becoming more common in public spaces, epi pens still require a prescription. Venom allergy tests are available through GPs, and allergies diagnosed can be successfully treated.